The open, dynamic HD 515 is a classic all-rounder and an affordable entry point into the audiophile 500 Series. 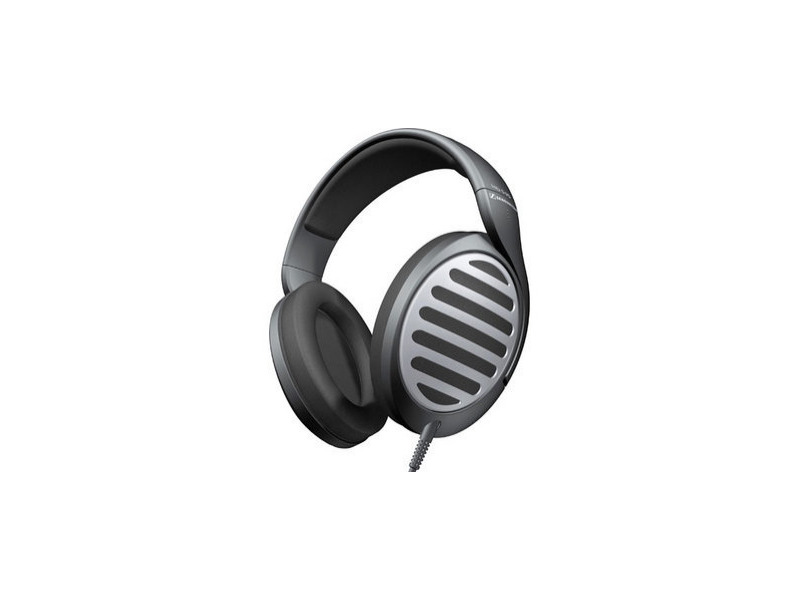 It is fitted with Sennheiser's innovative E.A.R technology, ensuring that the sound is accurately channelled into the ear. Overall listening pleasure is combined with outstanding wearing comfort. I have had S HD 515 more than 2 months and more I listen, more happy I am. Before I bought it, I had Bose around ear headphones which delivered sound with too much bass, not so crisp high tones and not very good stage. I paid for Bose 110 euro while I bought HD 515 for 90 euros. Before I bought 515 I read very different feedbacks from users. That is why I went to the shop and listen various Sennheiser, AKG, Grado and Yamaha studio headphones without knowing of which type I listened. This helped me to decide which of them had the best sound without any prejudice as to reviews I have read before and when I decided, it was HD 515. It has a great sound, you can feel the stage, bass is very good and natural, medium fantastic and high too. The sound is natural and you can hear everything what is on CD or other audio signal. Make sure that you listen an original or at least looseless cd to hear an optimum of what these headphones can deliver. HD 515 is very firm, durable and at the same time very easy and comfortable on ears. It has 3 m long cable and original plug-in jack is the one used for amplifiers, not for MP3 players or iPod. That makes clear that HD 515 was made for home listening, in other words for audiophile purpose. They can be played very loud, without distortion. Needs some time to burn in, so more you listen, more satisfaction you get. Many people claim that they can hear sounds they never did before and I was bit suspicious about that but now I know they were right-with these headphones I can hear a new dimension of sound and on some old tracks, new details and sound that I never heard before with my Bose or Sony headphones. I certainly recommend HD 515 as great value for the price. As to sound, it is great, and I think only some AKG or GRADO models could be match to HD 515.